Do your students already know how to light the candles? Do they already know about the Maccabees? Here is a list of 53 fun and creative activities to make Chanukah/Hanukkah come alive in the classroom. Some are appropriate for elementary school students, while others are better for middle and high school. To add to the list, click here. 1. Chanukah living museum: Break down the different parts of the Chanukah story (e.g. life for the Jews in Judea, ascendancy of Antiochus and his new laws, dilemmas for Jews, Judah organizes, Maccabees fight, cleaning of the Temple, Temple rededication). Assign each group one part. Each group should use costumes and props to act out their part of the story. Invite parents to visit the classrooms in order and see a re-enactment of the Chanukah story. This activity can be done in one classroom, class-wide or school-wide. 2. Study and debate: Study Talmud, Shabbat 21b. Divide your high school class into two groups (Beit Shamai and Beit Hillel) and debate how to light Chanukah candles. 3. Olive oil: Learn all about olive oil. Research how and where olive oil is made. 4. School-wide chanukiah competition: Divide students into groups to create original chanukiot. Let their imaginations run wild. Award points for creativity, originality of theme, workmanship, etc. 5. Chanukah today: Discuss the “assimilation versus tradition” message of Chanukah. 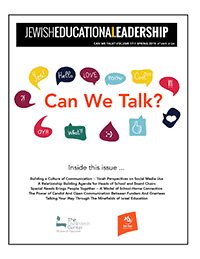 Are Jews culturally assimilated today? What makes Jews distinct from the larger population? To what are your students loyal? What lifestyle would they defend? 6. Chanukah serenade: Visit different classes and sing Chanukah classics for schoolmates. Alternatively, the students can rewrite the lyrics of popular songs to retell the story of Chanukah. 7. Chanukah around the world: Research the differences in Chanukah celebrations in Ashkenazic and Sephardic households. How is Chanukah perceived in Israel? How is it perceived in the rest of the world? 8. Poetry: Ask the students to write a poem with Chanukah themes of light vs. dark, freedom vs. oppression, etc. Highlight the poems at a Chanukah party. 9. ABC Chanukah game: Go around the room, with each student saying a word that is connected with Chanukah in alphabetical order (i.e. applesauce, blessings, chanukiah, dreidel, etc.) . 10. Chanukah hero project: Students choose a Chanukah hero (e.g. Judah the Maccabee, Chana and her seven sons, Yehudit, etc.) or a contemporary hero who overcame overwhelming odds (e.g. Natan Sharansky) and ask them to research the hero and prepare a powerpoint presentation to share with the class. 11. Chanukah concert: Offer a Chanukah concert to a local nursing home. Don’t forget to light candles with the residents. 12. Green Chanukah: Organize a green Chanukah fair where participants can make beeswax candles, create chanukiot, dreidels and decorations from recycled materials, learn about Israeli geography including Modi’in where the Chanukah story began, visit an oil press demonstration and exhibits about green initiatives in Israel. 13. Stage a debate: Divide your high school class into two or three groups (Hellenist Jews, Traditional Jews, optional: Syrian-Greeks). Debate the wisdom of each ideology. 14. Winter holidays: Discuss the differences and similarities between Chanukah and Christmas. What is the significance of each holiday? What are their themes? What are the rituals surrounding each holiday? Are they major holidays of their respective religion? What other holidays does each religion have? 15. School-wide dreidel contest: At a school-wide assembly, staff and students should compete in a dreidel contest using either the traditional rules or the rules of the Major League Dreidel. 16. Chanukah food fry: Ask your class to think of possible fried foods. Collect recipes, choose a few to make in the school kitchen. Make sure that sufganiot and latkes feature prominently! 17. Dreidel/chanukiah collector: Invite a dreidel or chanukiah collector from your area to tell you about their collection. 18. Chanukah Geography: Learn about the battles of the Maccabees. Where were they? What kind of a terrain did they fight on? How did this help in the battles with the Syrians? See battle maps here. 19. Literary adventure: Read the Book of the Maccabees. You may wish to use Philip Goodman’s Hanukkah Anthology for selections. 20. Chanukah charades/mime contest: Make a list of Chanukah scenes or stories (e.g. finding the oil in the Temple, Chana and her seven sons, etc. ), write each one on a separate card, then divide your class into groups and play charades or run a miming contest. 21. Chanukah plays: Dramatize the story of Chanukah. Some freely available plays are listed here. Other plays are Chanukah-Behind the Scenes by Stan J. Beiner, Miracles Aren’t Just Magic by Debbie Friedman, and several Chanukah musicals by Meredith Shaw Patera. 22. Food fair: Have students bring in a traditional Chanukah food that is made with oil. 23. Math/Physics Chanukah: Learn counting and dividing with young students. Study probability in high school Mathematics. Ask the students how many candles are needed for the entire 8 days, if every day one candle is added on. Invite the physics teacher to elaborate on dreidel spinning. 24. Chanukah PR Project: Sometimes Chanukah gets a bad rap compared to Christmas. Have the students create brochures/video advertisements for Chanukah explaining what it is, why it is unique, and how the holiday is celebrated. 25. Emotion-walk for Chanukah: Students brainstorm about how Jews felt at various times during the Chanukah story (e.g. joy, sadness, disgust, fear, anger, anticipation, optimism, submission, relief, rage, etc.) and “walk” the part by adjusting the timing, weight, direction, tension and focus of their walk. Students have to guess what emotion their classmates are portraying. 27. Chanukah teamwork: Divide students into groups. Make a human chanukiah. Dress up one team member as a dreidel. Play dreidel relay races. 28. Stitching Chanukah: Young students cut two pieces of felt/fabric in the shape of a latke, stuff it and stitch! See the tutorial here. Submitted by Meira Josephy. 29. Festive fires: Invite firefighters from your local statation to teach about fire safety in general and about menorah safety in specific. Submitted by Carla Porath. 30. Menorah history: Research the history of the menorah using the Internet. What does it symbolize? When has the menorah used in history (i.e. hint: Bar Kokhba revolt, State of Israel)? Collect menorah images and use them to make a huge collage in the shape of a menorah to hang in the school hallway. Submitted by D. Weinberg. 31. Chanuakah Learn-a-thon: The Macabbees fought to protect our way of life. Organize a chanukah lighting ceremony in your school and learn Torah in small groups (parents-children) while the candles burn! Teachers move around the room to help groups. Submitted by Ezra. 32. Chanuakah Dance: For those kids who need to get up and move! Choreograph a Chanukah dance of the Macabbee battles, complete with costumes and props. Perform at the annual Chanukah party! Submitted by Hannah Serkin. 33. Chanukah Lights: Sing songs about lights (i.e. This Little Light of Mine, Ner Li, etc.) and brainstorm how we bring light to the world by doing caring acts. Submitted by Yavneh Academy. 34. Chanukah Cookies: With three and four year olds, make cookies in the shape of menorahs, pots of oil, stars and Judah the Maccabee and retell the story of the holiday. Builds motor skills and makes use of many of the five senses (smell, taste and feel). From BJE of Metropolitan Chicago’s Early Childhood Centers. 35. Chanukah Wordle: Using Wordle, create word clouds in Hebrew or in English with Chanukah vocabulary. These make wonderful Chanukah decorations! Inspired by Educational Technology in ELT blog. 36. Chanukah Giving: Raise money in school to buy Chanukah presents for impoverished Jewish children. Use this as an opportunity to teach that Jewish poverty does exist. Submitted by Chavi Berger. 37. Burning Questions: The Partnership for Jewish Life and Learning is launching a web-based project called Burning Questions – daily Hanukkah emails with Jewish wisdom about the holiday and its many meanings, and “burning questions” for reflection and discussion. To see a list of the questions go here, and to sign up to get them in your email go here. Submitted by Miriam Stein, PJLL. 38. Chanukah Media: Watch the G-dcast video of the holiday with your class, using the teacher’s guide posted here. Submitted by Sarah Lefton, G-dcast. 39. Chanukah Treasure Hunt: Young students listen to the story of Chanukah and then hunt for chocolate Chanukah gelt, “hidden” in Chanukah-related places (for example, next to the menorah). Submitted by HM. 40. Chanukah Book-off Competition: Students read Chanukah-related books over the holiday (parents initial next to book name). Student who reads the most in the class wins a gift certificate to bookstore. School librarians can provide book lists. 41. Chanukah Archeology Hunt: In a sandbox, bury Chanukah artifacts (e.g. oil flask, candles, etc). Children dig to find the artifacts, but have to explain their meaning before redeeming them for chanukah gelt! Submitted by Jennie Fisher. 42. Chanukah Freedom Discussion: The Maccabees revolted to fight for religious freedom. When have there been similar rebellions/revolutions? What happened? Is there religious freedom in the world now? Where? Where is there little/no religious freedom? 43. Chanukah Alef-Bet: Write a list of Chanukah words in Hebrew. Students have to put the words in the order of the Alef-Bet. 44. Olive Oil Scavenger Hunt: This activity is good for students of all ages/levels. Take 10 cue cards. On each card, write a question about Chanukah and hide the card around the classroom/school. Divide the students into groups. Present the groups with the first card. If they get the answer right, the teacher rewards them with a clue so they can find the next cue card. After the final card, they will receive a final clue, which will point them in the direction of a hidden flask of olive oil. Once the olive oil is found, light the menorah with the students. Submitted by Miriam Levy. 45. The Light of Chanukah: Chanukah is a holiday celebrating the end of religious oppression. To bring this lesson home to the students, research a case of current religious oppression (sadly, many instances exist) and organize a campaign to educate about it and fight it (e.g. letters to congressmen, editorials). Submitted by Marcus P.
46. Chanukah Heroes: Class discussion on the Jewish heroes, Macabbees. Examine the concept of Jewish heroism, focusing on modern day examples. What are a Jewish heroes’ characteristics? What Jewish values do they embody? 47. Hanukka Dramatic Cleanup: I did this to “kick off” our discussion of about Hanukka with my 2nd graders, but I think 3rd and 4th could appreciate it. Re-create the defiled Temple. Students are not told what to expect. As they wait outside the classroom, hand out things the Macabees might have carried or worn (head scarves, shields, etc.). Let students into the room which has been purposely (–but carefully–) “messed up”. Turn desks over, scatter (non-essential) school supplies around. Place something to represent an “oil lamp” in the room (I used a metal gravy boat which I hung in front of my blackboard) and put an empty bottle of (Olive cooking) oil in it. Pre-set a duplicate hidden bottle of oil in the room. Children pretend they are the Jews / Maccabees re-entering their Temple and clean it up. Then they may search for the (hidden) oil to fill the “lamp”. Submitted by Sue Keitelman. 48. Chanukah in the Media: ask your middle school students to write newspaper headlines/breaking news alerts announcing the Chanukah events (e.g. Greeks Take the Temple!). Students might have more fun writing about how they would instant message/tweet the narrative. Submitted by Daniel Swirski. 49. Chanukah Media Skills: The “Big6” approach is used to teach fundamental information and technology skills to students. Complete this Big Six Chanukah Activity and decorate the classroom with the Chanukah posters. Submitted by Reuven Werber. 50. Dreidel Math: Bring in 100 dreidels to early childhood class. Activities: sort by color, count dreidels (which color has more, which less)create patterns (simple: red, green, blue, red, green blue; more difficult: tip up, tip down). From CELC Room Daled blog. 51. Floating/Sinking Chanukah: For early childhood/elementary. Bring in a large tub and fill it with water. Bring in different objects: cork, paper, fabric, clay. Have the children predict what will sink or float and let them experiment to test their hypotheses. Encourage the students to explain why the object did what it did. Now bring in sample liquids: oil, regular soda, diet soda, and experiment with those. Discuss with children. 52. Chanukah Story Retold: For middle school and up. Using their choice of media, a class is tasked with retelling the story of Chanukah. Students are in charge of all aspects of production including: selecting a media, brainstorming, writing, filming, programming, editing, etc. Do they want to create a documentary film? What about a history focusing on symbols? How about a cartoon version? The teacher’s role is to guide them, providing direction, resources, and advice. 53. Build a Can-u-kkiah: Ask each grade to bring in canned food to build a giant Can-u-kkiah in the hallway. The grade with the tallest Can-dle wins a special treat. Collect Kosher and non-Kosher foods and sort them. Kosher food goes to the Kosher food pantry and non-Kosher goes to the community food bank. Submitted by Civia White.